Set Default to Ultra With Dual SLI Graphics! The best mobile gaming system in the world. 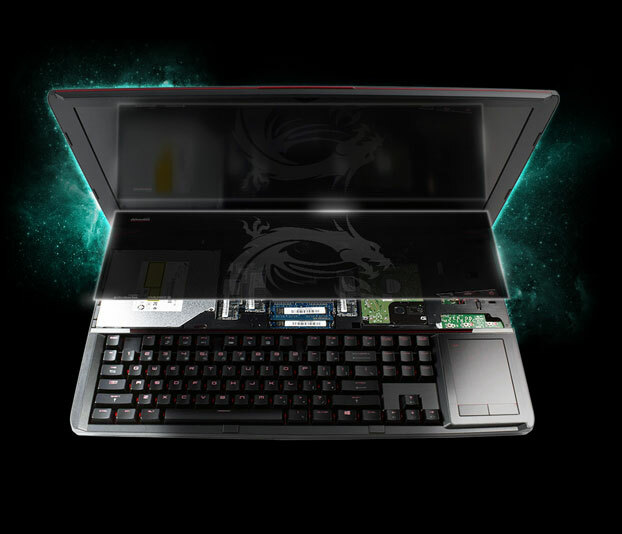 Better and more powerful than you’ve ever seen in a laptop. Dual next gen SLI GeForce GTX980M graphics cards deliver true desktop performance. 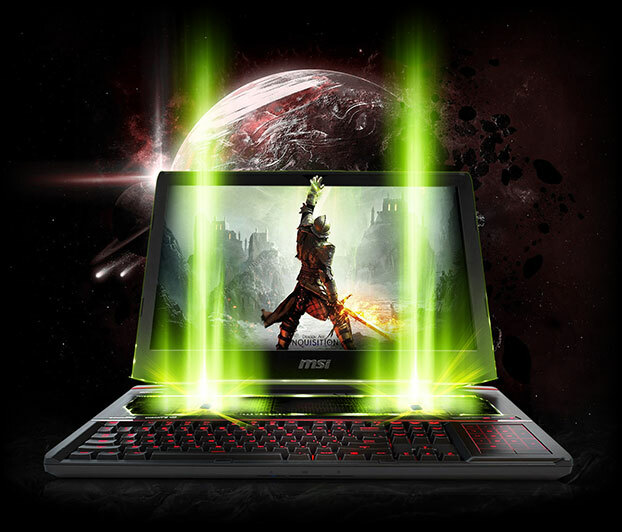 Max out performance with NVIDIA Maxwell Technology & the upgraded PhysX engine to bring your game experience to life. 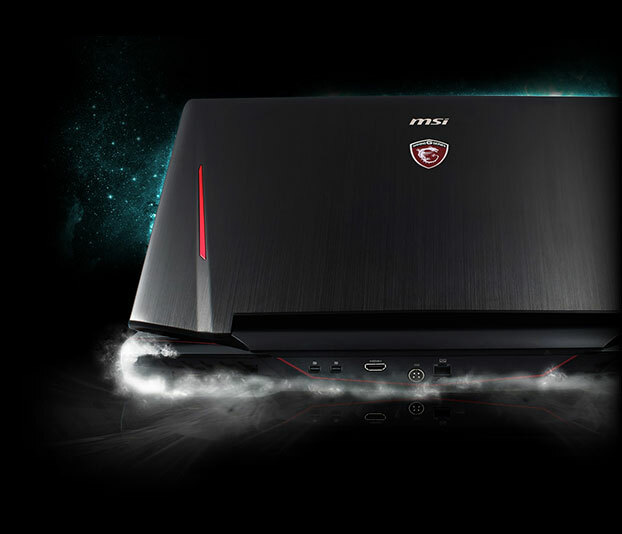 A juggernaut gaming machine requires extreme cooling. 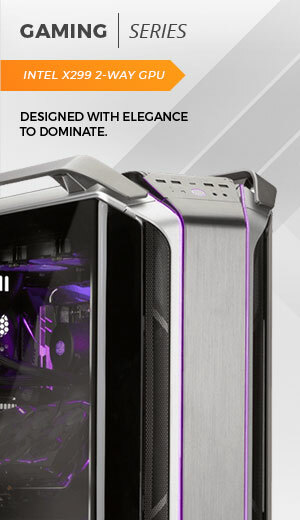 Engineered with an 8 heat pipe cooling solution, each GPU is individually configured with its own piping, keeping the system stable and cool through long and intense gaming sessions. 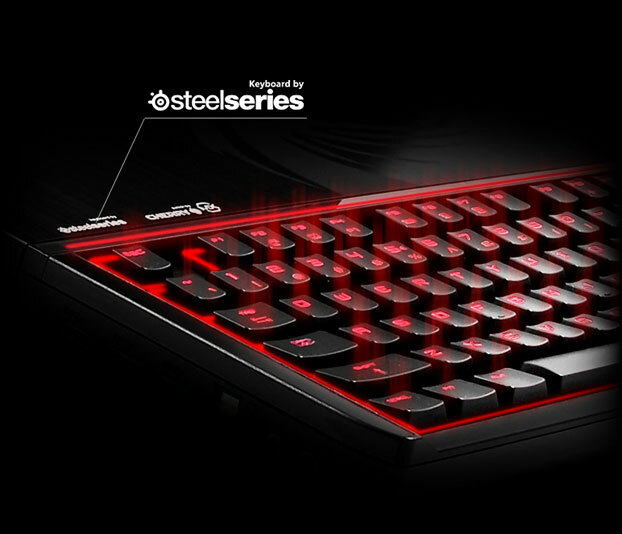 World renowned for its precision and performance, the SteelSeries gaming keyboard takes it to the next level with the world’s 1st gaming mechanical keyboard integrated into a form factor space in a notebook. Designed to smoothly flow between a Trackpad and a Num Pad, your hands will always be in the proper desktop position. 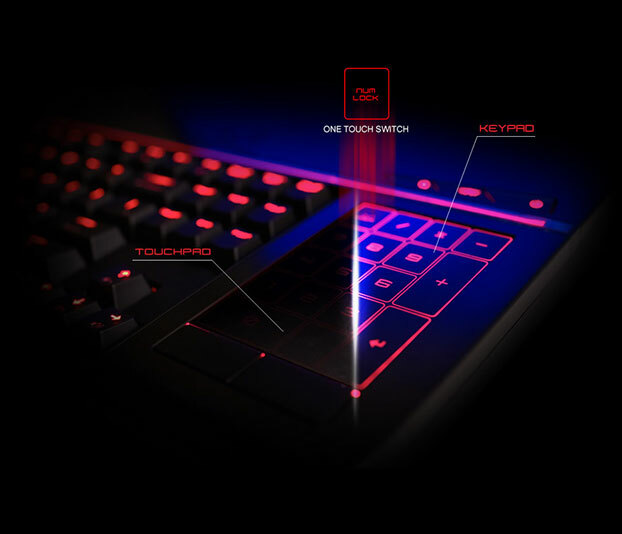 Merely press the num lock key to switch back and forth. Stationed underneath the keys are the widely popular German made Cherry MX Brown Switches. Brown switches are known for their precision, facility, and low noise. 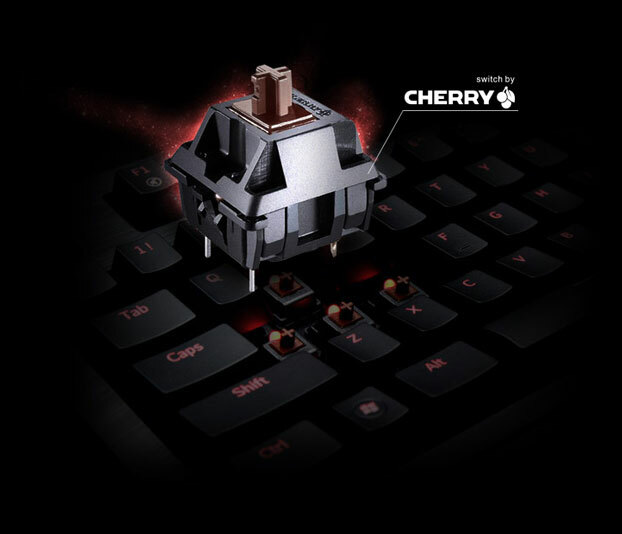 With a 45g actuation force, Cherry MX Brown switches are light and great for long periods of typing and gaming. 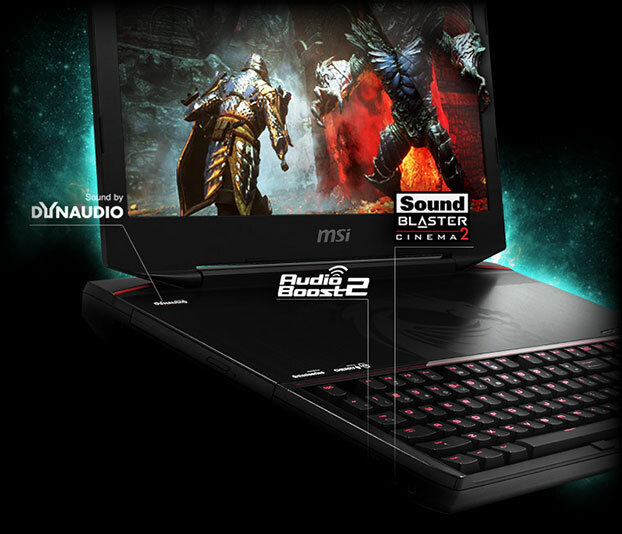 Dynaudio and MSI have developed a real HiFi sound arrangement for a new standard in notebooks. The positioning of the speakers with improved digital sound processing (DSP) brings life like sound and dynamic tonal accuracy for a gaming experience unlike anything you’ve ever heard. 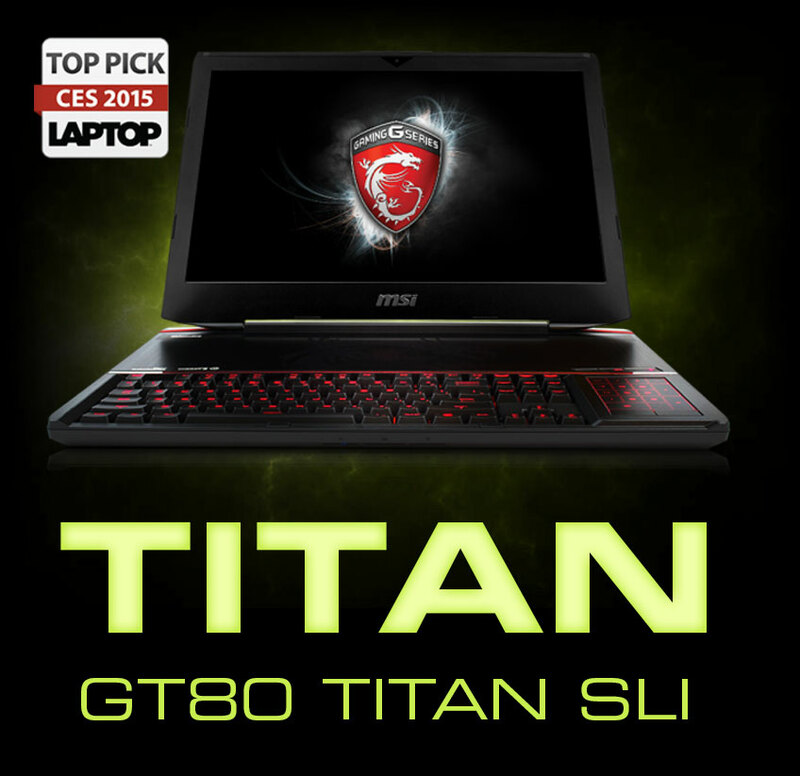 Fully supporting the best in components, the GT80 Titan allows for installing the highest end hardware components for the most extreme gaming experience possible. 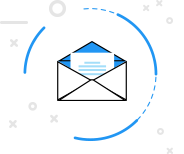 Load games in seconds with Super RAID 3, supporting up to 4x M.2 SATA SSD’s in Raid.